This is an incredibly good soup for preventing and fighting a flu or cold. It also tastes sooo....delicious. The detoxing effects of asparagus, the anti-septic & anti-bacterial effects of onion and fennel's ability to help with respiratory disorders such congestion, bronchitis and cough, make it a SUPER SOUP!! I added brown rice as an excellent source of all-around nutrition. If you have never tried fennel, it is delicious and has a very slight licorice aroma and taste. The fronds look a lot like dill. NOTE: According to the ancient Greek physician Hippocrates (460-377 BC), the founding father of natural medicine, the first and foremost principle of medicine must be to respect nature’s healing forces, which inhabit each living organism. Hippocrates considered illness a natural phenomenon that forced people to discover the imbalances in their health. He strongly believed in good food and related the course of any ailment to poor nutrition and bad eating habits. He stressed, "Let food be your medicine and medicine be your food"–advice that I believe in. 1.) Remove the fennel fronds from the bulb and stems. Mince fronds to equal 1/2-3/4 cup. Slice the fennel bulb and the stems into chunks. 2.) Cut 1 1/2 inches off the asparagus tips. 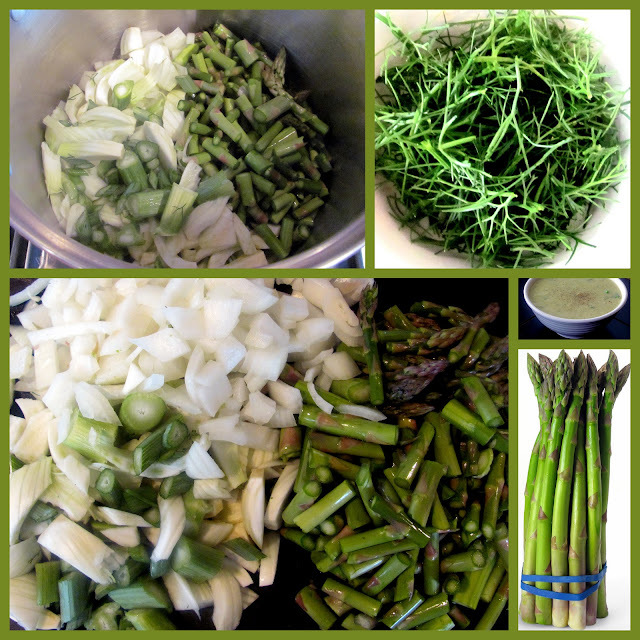 Cut remainder of asparagus into small chunks. 3.) Slice onion into chunks. 4.) Add 1 tsp. extra virgin olive oil to large soup pot. Add in all vegetables and saute for 5 minutes. Remove asparagus tips and set aside. 5.) Add brown rice and broth to soup pot. Cover and simmer over low for 30-40 minutes. 6.) Puree small batches of soup in blender until very smooth. Return to soup pot. 7.) Add almond milk, asparagus tips and the fennel fronds to the soup. Salt and pepper to taste. Well...LOVE fennel so much. It is such an underasted and underused vegetable in the US in my opinion. SO I am so excited to see that you used it in this recipe! Looks so amazing! 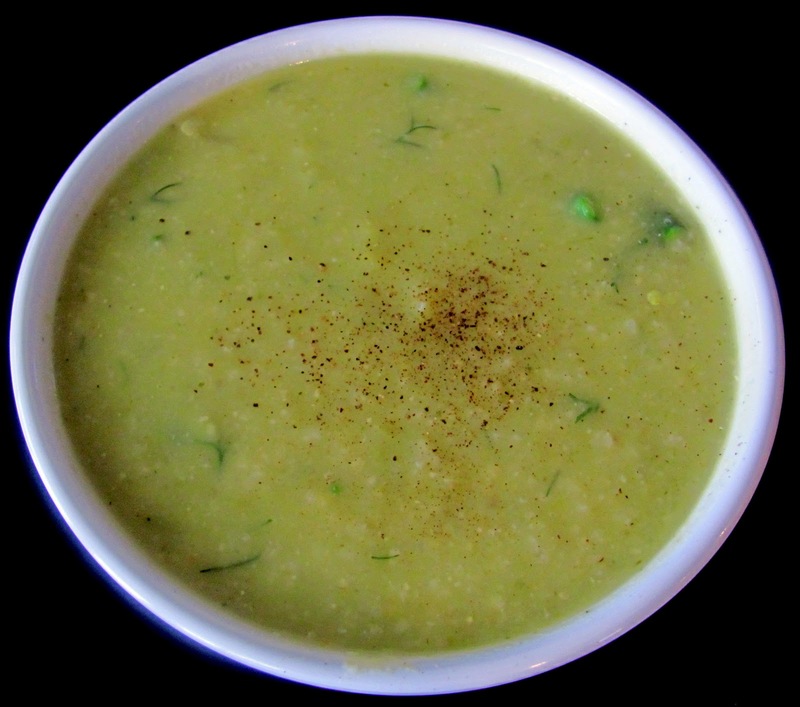 I love the combo of the asparagus and ennel, wow what a powerhouse soup! It looks simple to prepare too! That's pretty interesting how you puree the soup after adding the brown rice. So you use that as a thickener rather than a potato. Very inventive, as always. Debbie -- This looks VERY yum, and I love the technical and historical notes you include in this post -- great job!